The great thing about my stay in Prague was our couch surfing host stayed right in the VERY center of the city. It was practically next to the Palladium, the hippest shopping mall in town. Our host, Sophie, a French student who was spending an Erasmus year in Prague, stayed in Praha 1. The ‘original’ Prague and the oldest part of the city. Now, Prague is divided into several different district, which I’m not sure about the correct number. But I basically just stayed within the area of Praha 1. Thanks to Sophie, who had been obsessed about hosting some couch surfers for a long time, she ‘provided’ several maps (which she took in some youth hostels or in train station) for surfers like Lisa and I. She was also very helpful on explaining about where to go and what to do in Prague. She even introduced her surfers to her French friends, who ended up inviting us for a night of dinner and dancing. As I wrote earlier, Prague was beautiful. One of the first thing that Lisa and I noticed when we got to Prague was this particular gate. Basically, I saw this gothic gate when ever and where ever I left Sophie’s place. This Powder Gate is supposedly the original gate that was used in the olden days to enter the ‘original’ Prague, or as now famous with the Old Town. 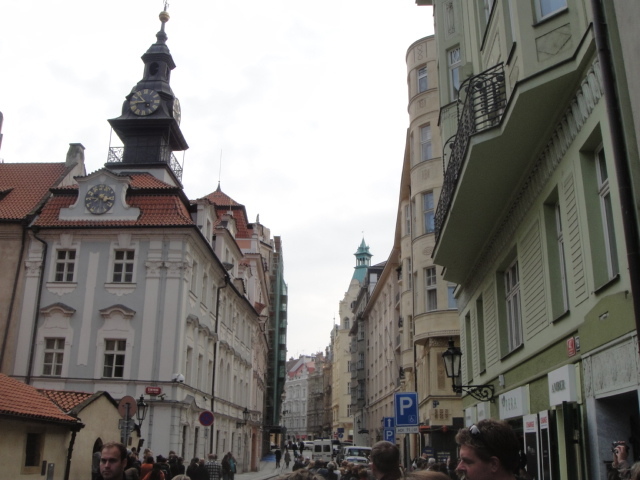 And the Old Town part of Prague was the extreme center of the city. In the Old Town part of the city, there are two spots that tourists must know: the Old Town Square and the Astronomical Clock Tower. This famous meeting point was usually packed with people, especially on weekends. Of course, like in most touristic places in the world, the Japanese tourists are the most obvious ones. But be careful, it can be extremely tricky to set a meeting point in this very square. Besides the thousands of people, it also has hundreds of restaurants, several theaters and galleries, and of course the countless number of pick pockets. 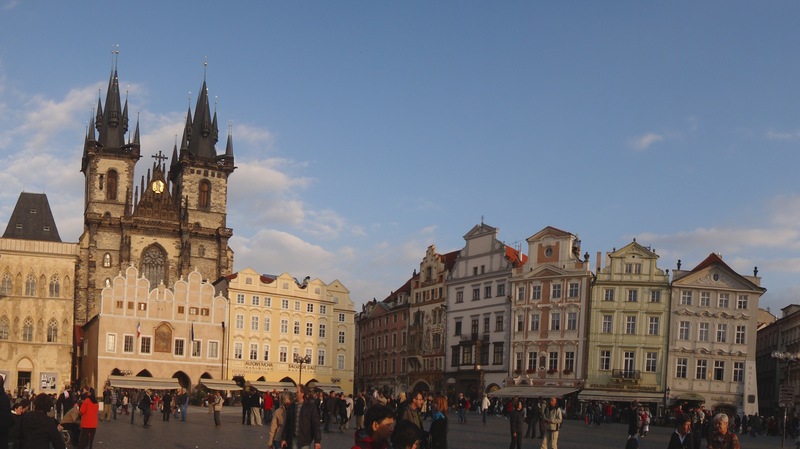 That was why, the most famous (specific) meeting point within the Old Town Square was near the Astronomical Clock Tower. On this picture, besides the clock tower, it can also be seen that an event was set around the square. So, in addition to the thousands of tourist, hundreds of restaurants, countless number of pick pockets, different events usually took up a whole lot of space within the square. 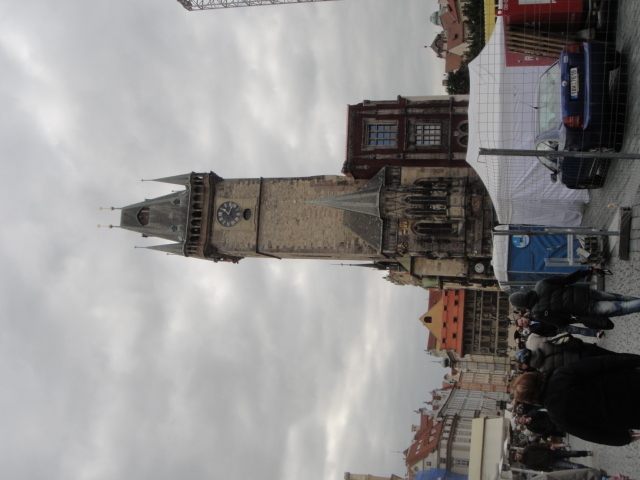 There was one funny thing about the Prague’s Astronomical Clock. Oh, by the way, the clock was special because it is the oldest and the only astronomical clock that still works up until now. When I was in Prague, Lisa and I took a free (tip on based) walking tour around the most important sites in the city. The tour guide said that Prague’s Astronomical Clock was one of the most overrated touristic sites in the world, along with the Mona Lisa painting. And I couldn’t agree more. The thing was, the clock would supposedly create some sort of attraction every hour. So, 15-20 minutes before every hour, no matter how cold it was outside, hundreds of tourists from all over the world would stand around the square, waiting for this clock attraction. Each and every tourist would hold their cameras as high as they could, ready to record every single movement of the attraction. Then it came the exact hour. Everyone who had camera pushed their record button, wait for the next 2-5 minutes, then looked at each other. “That was it?? ?” was usually the sentence tourists exchange with each others. Some of them would wait for another 10-15 minutes, desperately hoping to see more, but unfortunately they got nothing. Basically, the clock’s attraction was a guy blew a trumpet, some shallow movements from weird statues, and that was it. It was not something that worth 30 minutes wait. But I’m not saying that people should skip the Astronomical Clock altogether. The fact is, when you visit Prague, the clock would be unavoidable. You would walk there both consciously and unconsciously. It has that sort of magnet. 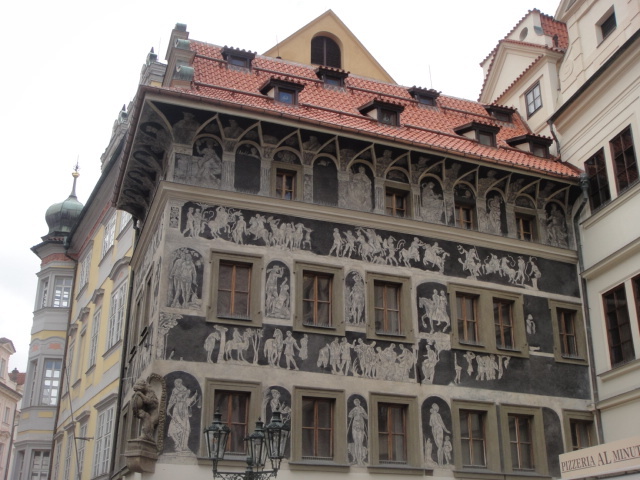 Another funny thing about Prague, or rather Czech, they seemed to exploited their own artists. Or that was the feeling Lisa and I received when I was there. Take Franz Kafka for example. The guy’s been dead for more than 80 years, but everyone was still taking advantages of him. Boats were named Kafka, as well as cafes, bookstores, gift shops, and many-many things. 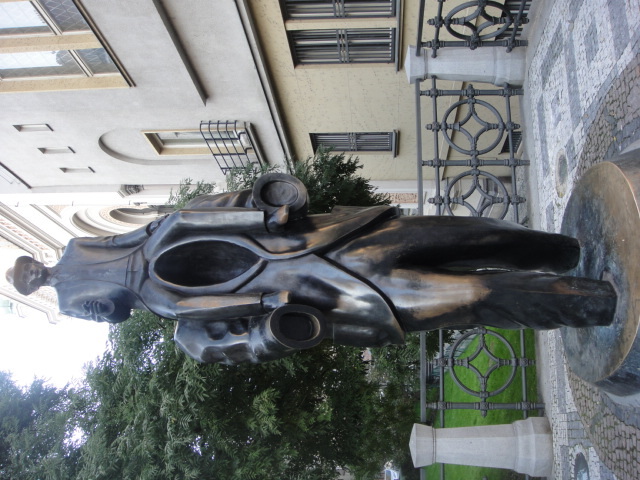 This statue below is one example of the never ending Kafka fever in Prague. After I have left Prague (and have met people from Philosophy major), I was seriously thinking about reading one or two Kafka‘s work. Maybe later, when I can get a hold of a perfectly well-supplied library. Another artist that was being exploited was Alfons Mucha. 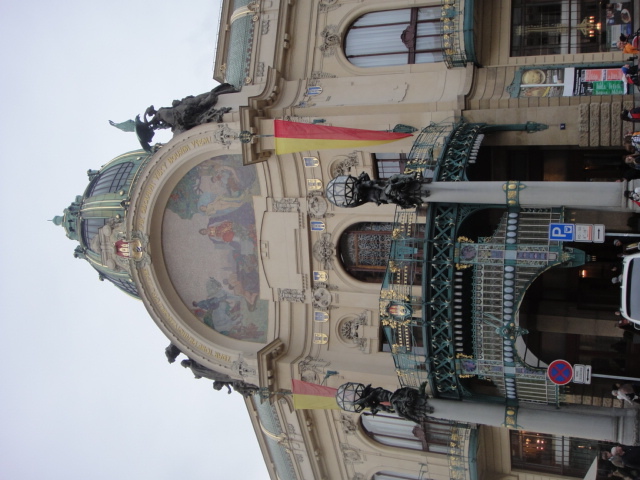 This famous Art Nouveau painter’s works were being exhibited in at least 3 different exhibitions when I was there. The works were incredible, for sure. But three exhibitions at once, isn’t that a little too much? Lisa and I ended up going to the one that was held in the Municipal House, a building decorated by Mucha’s very own paintings. One thing that everyone kept telling Lisa and I was to go see a show, either a play or an opera or an orchestra, in Prague. 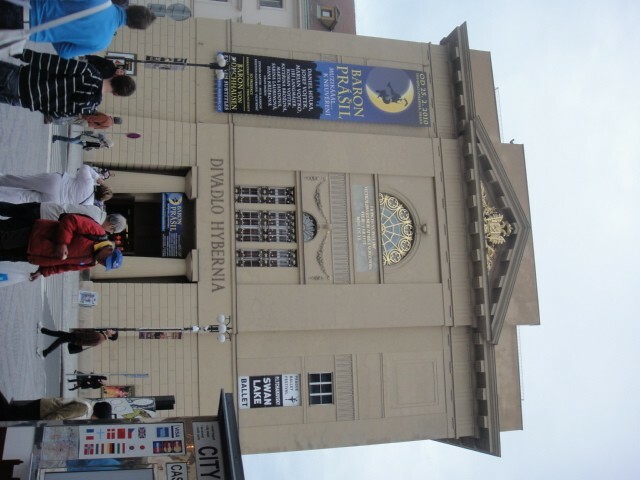 Prague is a city filled with theaters galore. Within the Old and New Town (which was built in the 14th century, not very ‘new’), several world’s class theaters stood gracefully. Aside from that, the tickets were considered cheap, thanks to the strong Euro and not-so-strong Czech Krown. Unfortunately, we only had about three days in Prague and was too busy partying and didn’t have time to go for any show. But oh well, I’ll come back, anyway. One of the theaters that was located in the very center of the city can be seen below. In the picture below, I intended to take a picture of the extremely popular Estates Theatre. Wolfgang Amadeus Mozart premiered some of his opera here. Just for the record, the other theaters that were ever used by Mozart have been demolished due to wars or other causes. This is the one and only theater that left standing, up until now. 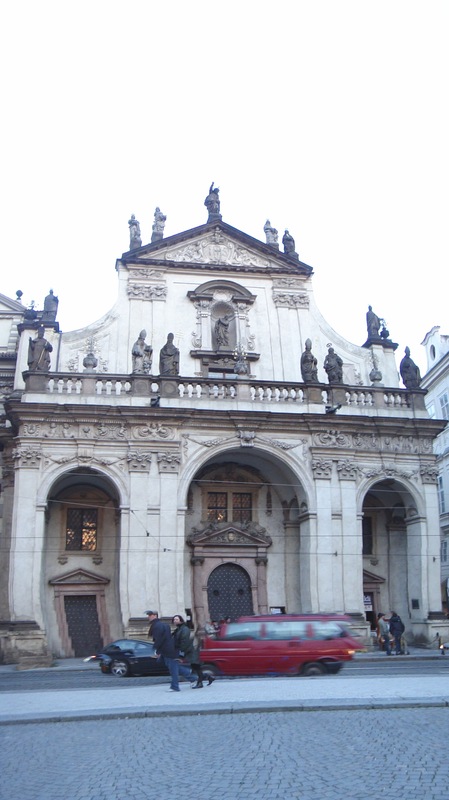 Talking about building, the most extravagant building in Prague, I have to say, besides the Prague Castle was the St. Vitus Cathedral. 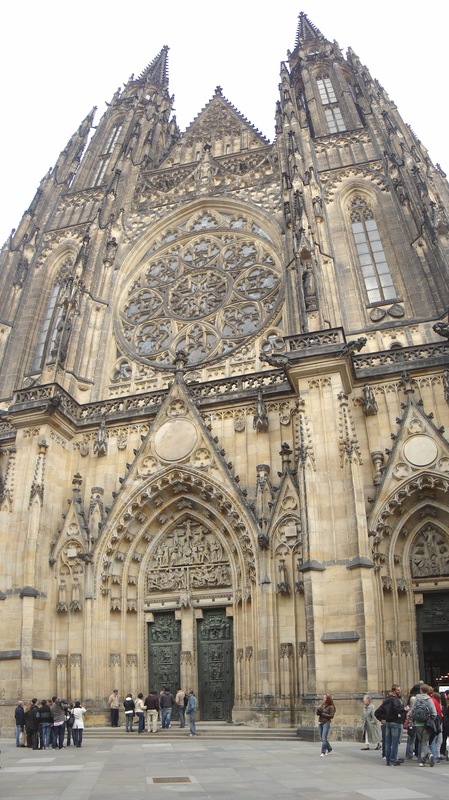 Both the Prague Castle and St. Vitus Cathedral were located in the Lesser Town. I also took several pictures of random fascinating buildings in the city. Here are two of them. Finally, I’m going to end this writing by giving the city’s overlook view. It was taken from one of the parks in the Lesser Town. 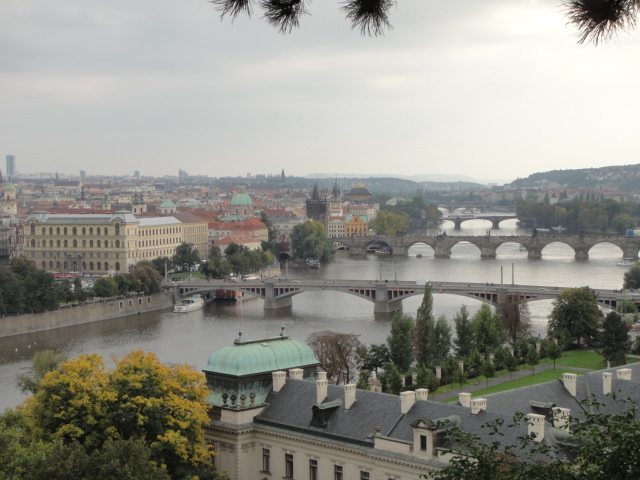 It is overlooked the whole city, including the respected Vltava River and the legendary Charles Bridge (hint: it’s the one with the gothic gate on the Old Town side-left side). 1. Czech is the country that produced the most beer in the whole world. 2. 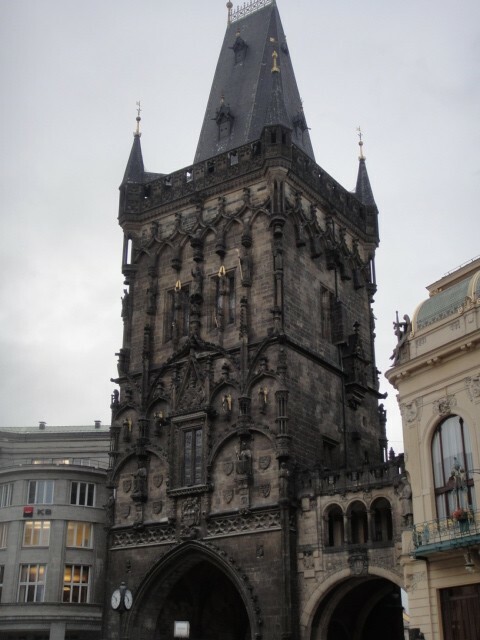 Prague has an extremely distinguished 5-floor club called Karlovy Lazne that is located in Charles Bridge. It is famous amongst tourists, especially the pub crawlers. It is also famous for its poor security. Something will be missing every single night in this club, from money to a simple scarf (Lisa was one of the victims). 3. Prague is very-very-very touristic, BEWARE of pick pockets everywhere and everytime! This really is a marvelous article. Thanks a ton for spending some time to detail all of this out for all of us. It truly is a great guide!